Monsoon is the best season to explore the beauty of Western Ghats! With the onset of monsoon, the landscape of Western Ghats is carpeted by a plush cover of thick green vegetation. Gushing waterfalls and rapids attract fauna as well as human attention. Situated on the edge of the Western Ghats, the vibrant city of Pune provides the best chance to enjoy the majestic monsoon beauty of the Ghats. 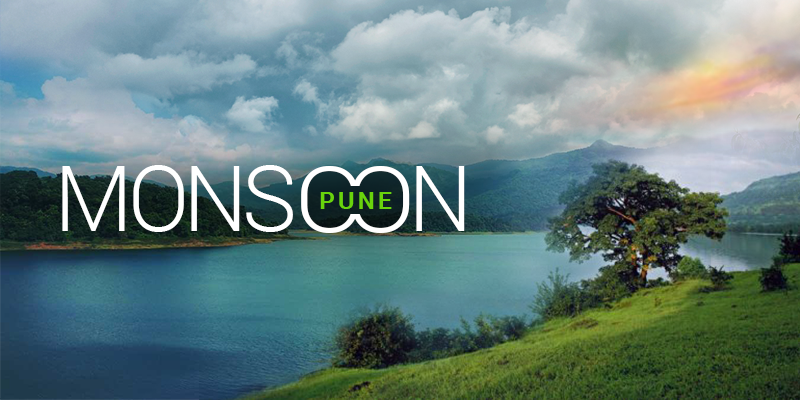 There are many tourist places to visit near Pune whose beauty is amplified during the rainy season. So, if you are planning a Pune sightseeing trip during the monsoons, here are five tourist places that you may include in the list. Situated some 54 KM away from Pune, Tamhini Ghat is gradually becoming one of the most visited tourist places near Pune. This beautiful hill station is a popular weekend getaway from Pune. What is so special about this place during the monsoons? 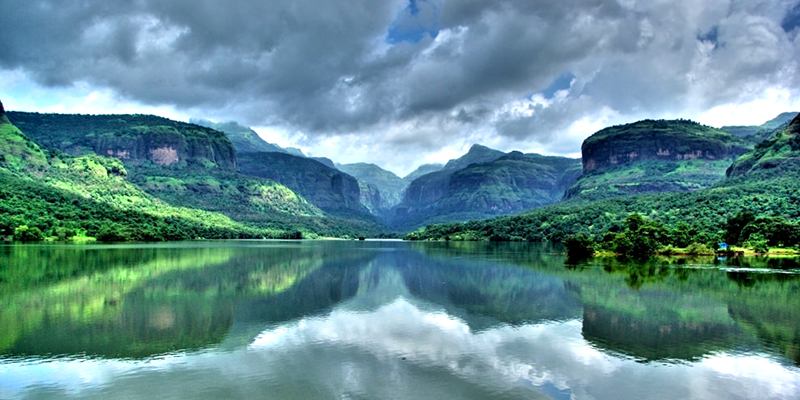 Well, Tamhini Ghat is known for its forests, lakes and the Mulshi Dam. Rains give the hill station a green look all around and fill up its lakes and dams. Apart from this there are many viewpoints where you can view the dark clouds floating in. The Mulshi Dam is a not to miss destination when visiting Tamhini Ghat. Rains fill the reservoir with water and watching a dam pass through gallons of water is a sight to behold. There is also the ancient Vanjai Temple that is set against a green backdrop during the monsoons. Tip: If you are planning an overnight stay in Tamhini Ghat do book accommodations on the banks of Mulshi Lake. Must taste: During your road trip from Pune to Tamhini Ghat do care to stop over at the roadside joints and enjoy hot plate of corn bhajias. The Kadakwalsa Dam is a nature lover’s paradise all through the year. 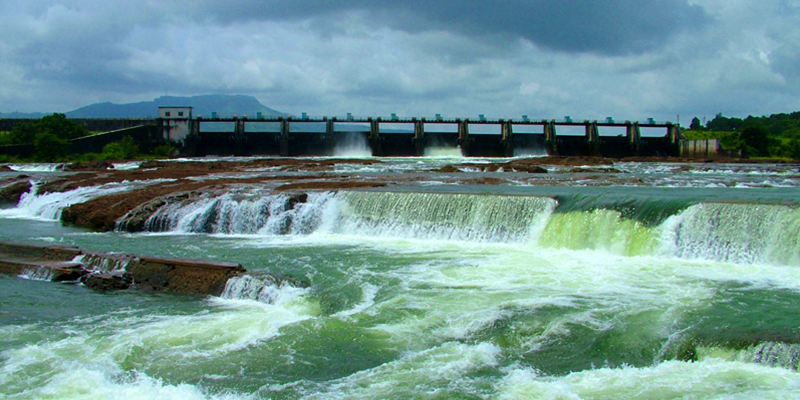 Many Pune dwellers would vote Kadakwalsa Dam as their best choice of picnic destination. You can find crowds, at any other season, crowding the shores of the adjacent Lake Fife. But during the monsoons this crowd of tourists vanishes and the shores are filled with rich vegetation. It is also a great sight to view the Kadakwalsa Dam pass gallons of water through its gate. You get an idea about the force of water by merely staring at the dam. Kadakwalsa Dam is also quite close to our next Pune sightseeing destination – Sinhagad Fort. 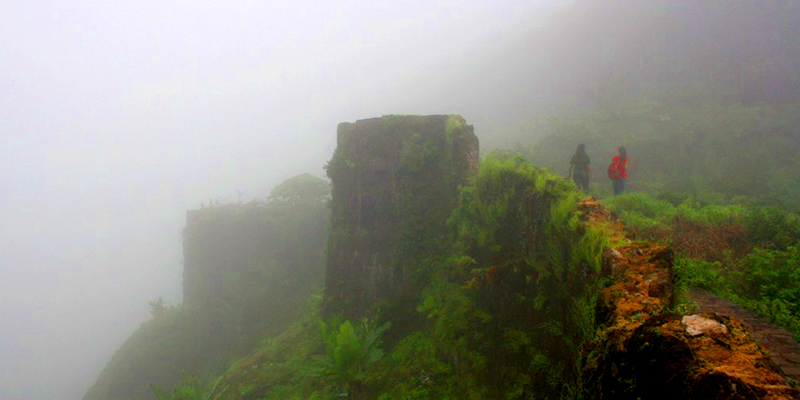 The next stop for your monsoon trip from Pune should be at Sinhagad Fort. This is a historically significant fort and served as the site for many important battles. This seventeenth century fort, is best known for the heroics of Tanaji Malasure who valiantly defended this fort from the mighty Mughals. There is also a memorial of the martyr within the fort’s ramparts. Within the ramparts one can view the Kaundinyeshwar Temple, Amruteshwar Temple, tomb of Rajaram, Lokmanya Tilak Smarak, Military stables, and a Kali Temple. Must See: Do visit the Wind point while exploring the Sinhagad Fort. Tip: Do not miss out on Kulhad curd and Kanda Bhajia while visiting the fort. Bedse Caves are a complex of Buddhist rock-cut monuments dating back to 1 BC. The caves are situated on a hill top and abound with astonishing natural beauty. These caves are one of the finest examples of ancient Buddhist architecture. There are distinctive sections within the Bedse Caves such as a prayer hall, Stupa and rooms for the monks. While exploring these caves you would come across beautiful sculptures depicting dance postures and animals. 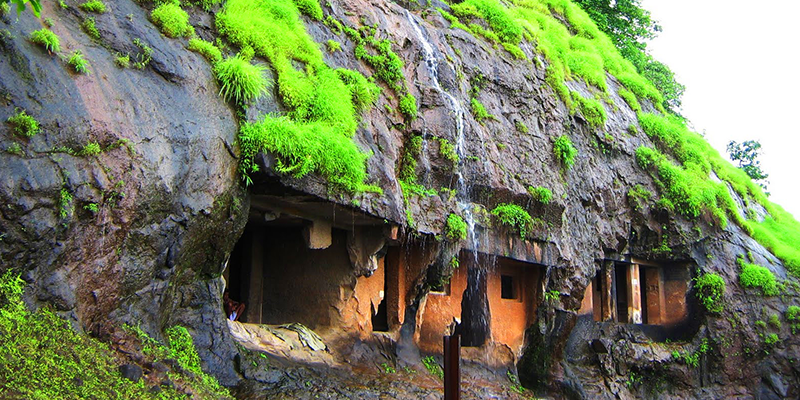 While visiting Bedse caves you have to stay ready for a small hike of 400 steps (which may take about 30 minutes). Two most compelling areas of the cave is Cave 7 (lavish prayer hall) and Cave 11 (Buddhist Vihara). Tip: Visit the caves early in the morning when the rock carvings are clearly visible. Must see: Do witness 12 water trenches that have been built inside the cave. Other places to visit: Pawana Dam, Lohgad and Tung Fort. Nestled in the midst of the Western Ghats, Malshej Ghat is one of the recent inclusions to the list of tourist places to visit near Pune. 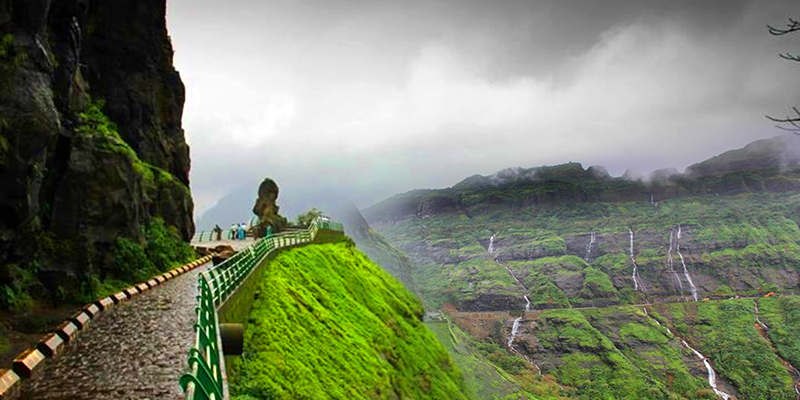 The route between Pune and Malshej Ghat is better known as “A Road of Waterfalls”. You would find many waterfalls appearing one after the other while traversing through the route and during the monsoons all these waterfalls have a fulsome appearance. Malshej Ghat is also known as a birdwatcher’s ideal destination. During the monsoons the avian population in the area gets a boost and one can easily spot quails, crakes, rails, flamingos and cuckoos here. If you want the best monsoon views of the area then trek up to the Harishchandra Fort or Jivdhan Chawand Fort is essential. You will get a picturesque view of the rain drenched valley from the ramparts of these forts. Tip: Try to return back to Pune before sunset as the road can get quite deserted after dark. Must see: Darkoba Peak, Pimpalgaon Joga Dam, Ajoba Hill Fort, Shivneri Fort, Lenyadri Caves. If you are in Pune or planning a trip to the city any time soon then do enjoy the views from these rain drenched beauties. Next articleAn Andaman Holiday, like NEVER before!